We made another batch of tamales. 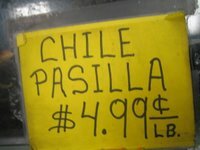 They are not a particular style of tamales. I used techniques and styles from the all over the tamal diaspora. 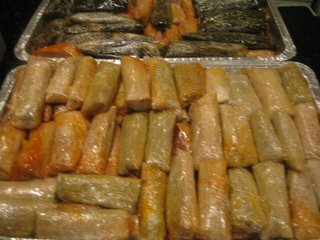 My tamales are by no way traditional but they honor the ingredients and respect the methods of preparation that have been developed over the centuries in Latin American kitchens. 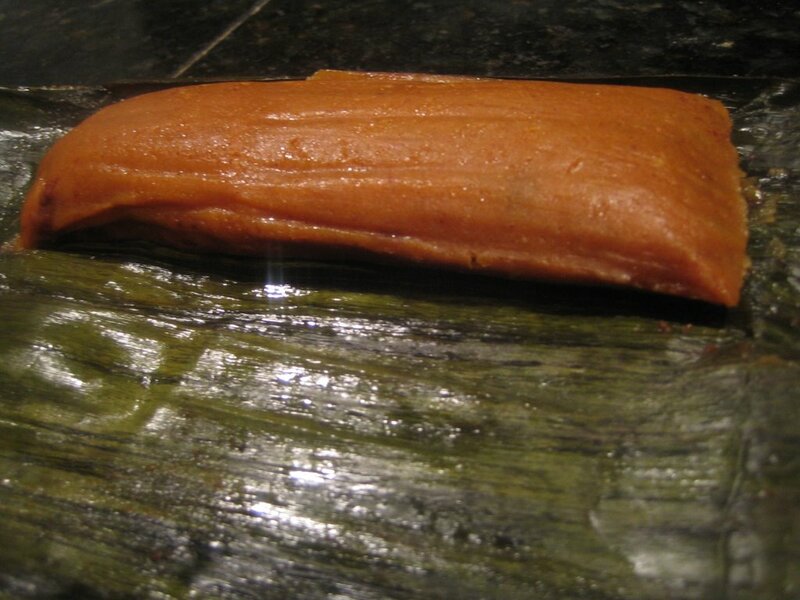 I used maseca that I bought from my local tamal parlor. 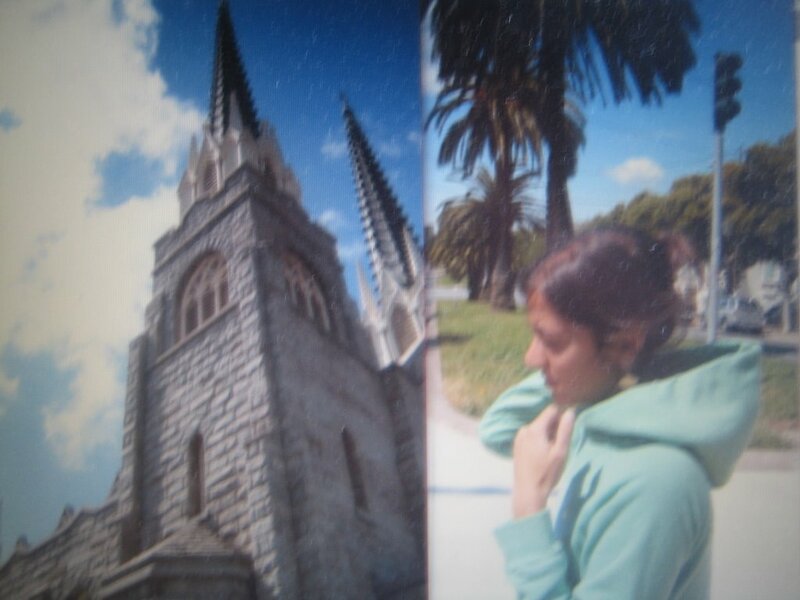 They make it right here in the Mission district of San Francisco. 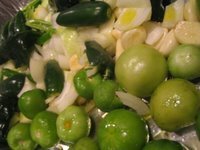 But I plan to make the masa from scratch some day with some tips from El Amor por la Cocina. 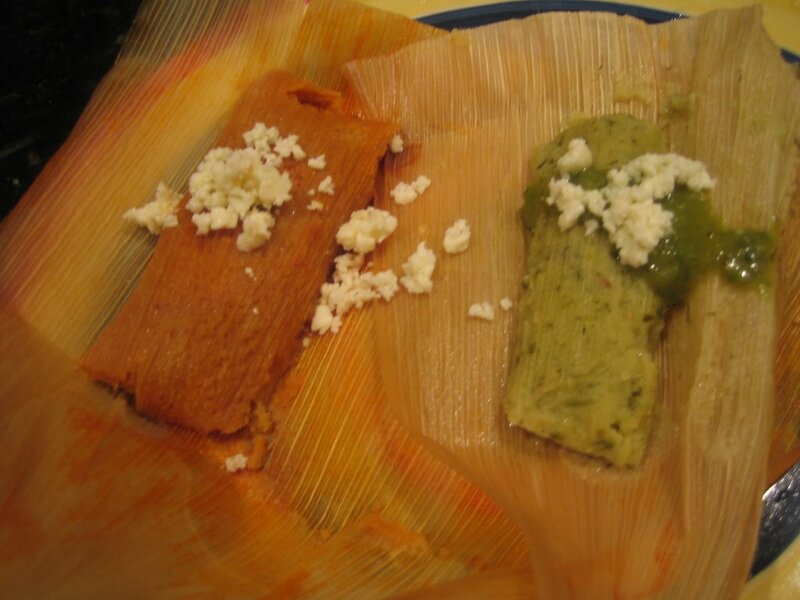 Check out her real deal Tamales Panameños with a great step by step recipe en español. Also, get hip to the Food Diva, and check out her authentic Mexican tamales. 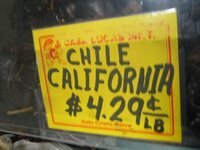 Like many good recipes here in the Soul Kitchen, we start with chile. 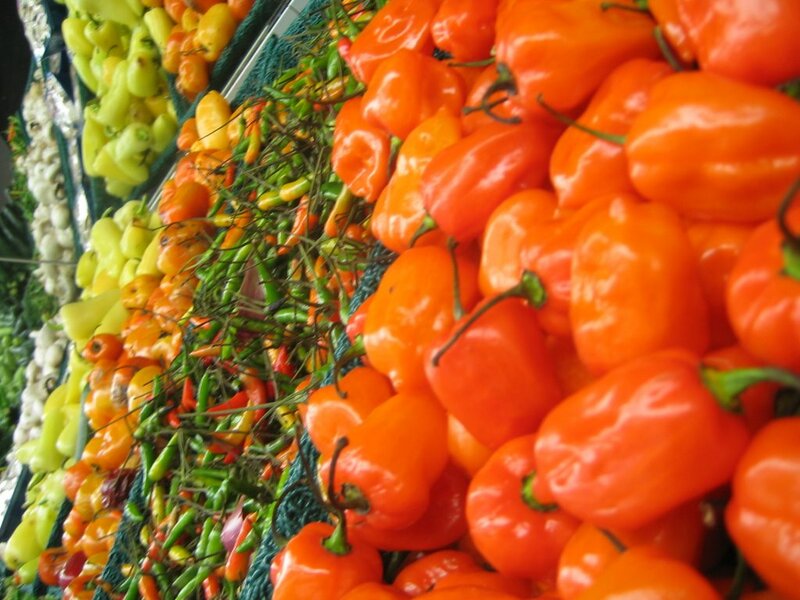 Serious chiles, like this one. We wanted chile to stew our chicken. Chile to braise the lamb. 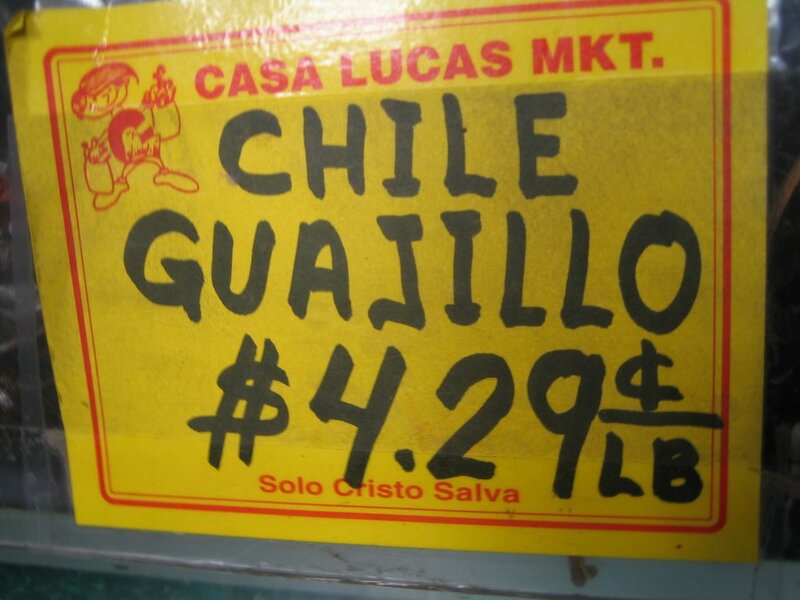 Chile to flavor the masa. 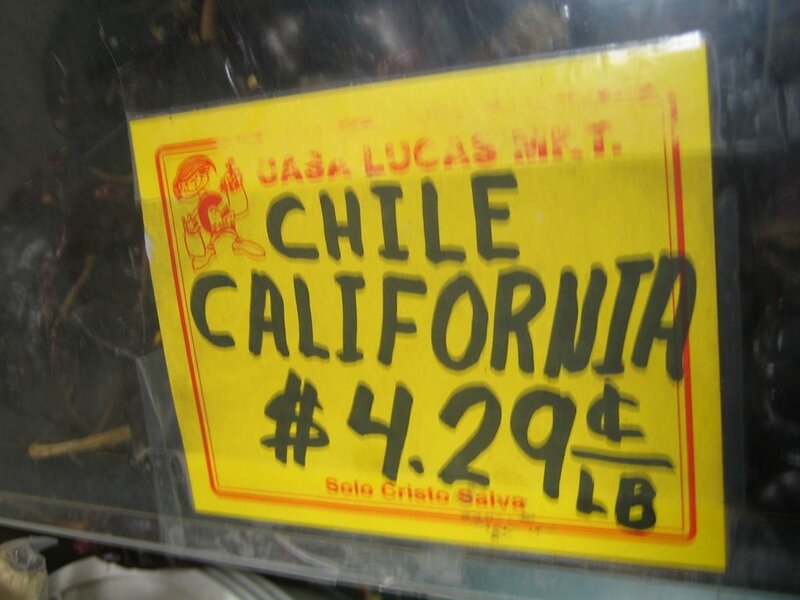 Chile for the salsa to snack on while we cook. 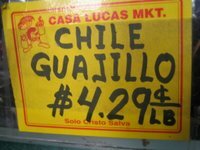 And chile sauce to cover our tamales when they are ready to eat. 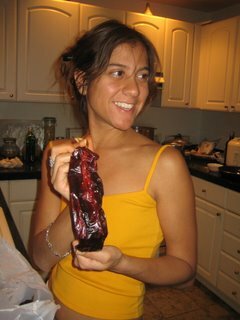 The dried chiles combined to make the red chile sauce. The fresh chiles were roasted with tomatillos for the green chile sauce. I had some friends remove the stems and seeds from the chiles, then we lightly toast the chiles on a griddle. 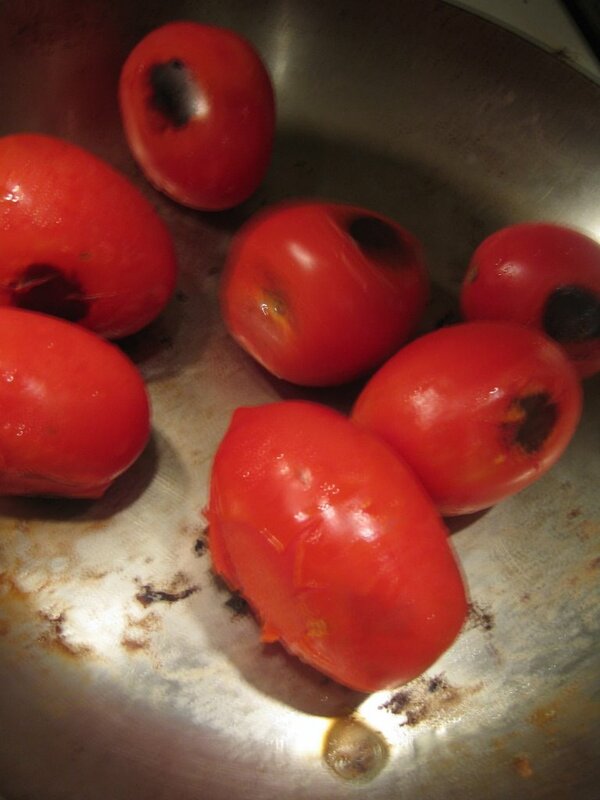 We also roasted a few tomatoes for the chile sauce. I made a nice chicken stock with a whole chicken and simmer the dried chiles in the stock with some onion, garlic, and roasted tomatoes. 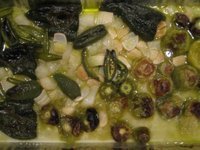 Then I puree the chiles with eough stock in a blender and strain. I heat a stock pot and add a few drops of oil. 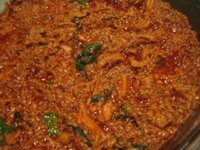 When the pan is hot, I fry the sauce, add some stock and reduce it. Frying the sauce like this helps awaken the flavors of a sauce made with dry chiles. It brings out the natural fruitiness and the tang that goes so well with the deep flavors of these chiles. While the sauce reduces, we pull the chicken from the bone then add it to the red chile sauce. 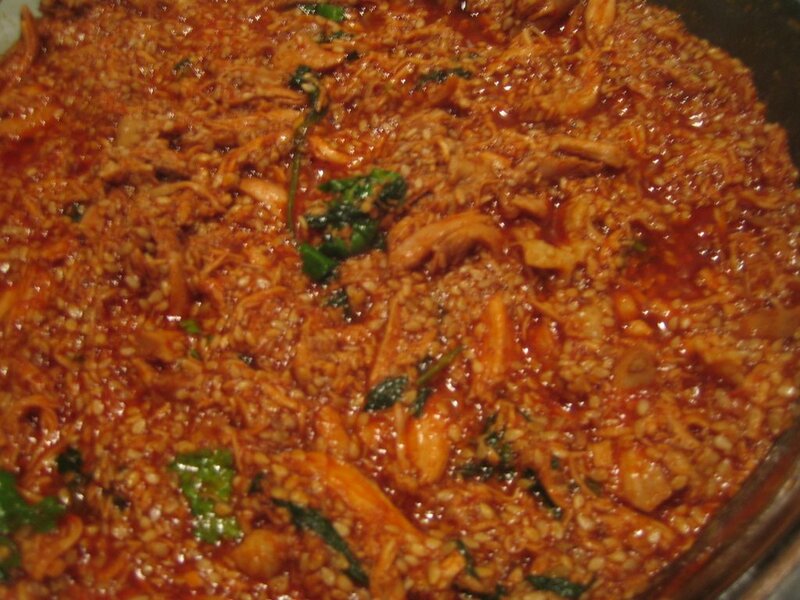 The pulled chicken slowly simmers in the sauce until sauce gets a thick gravylike consistancy. Then I add toasted sesame seeds and cilantro. 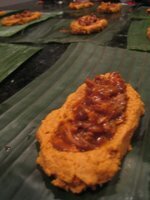 It is a nice tamal filling so only good chicken will do. I don't want sad chicken used in such a happy dish. 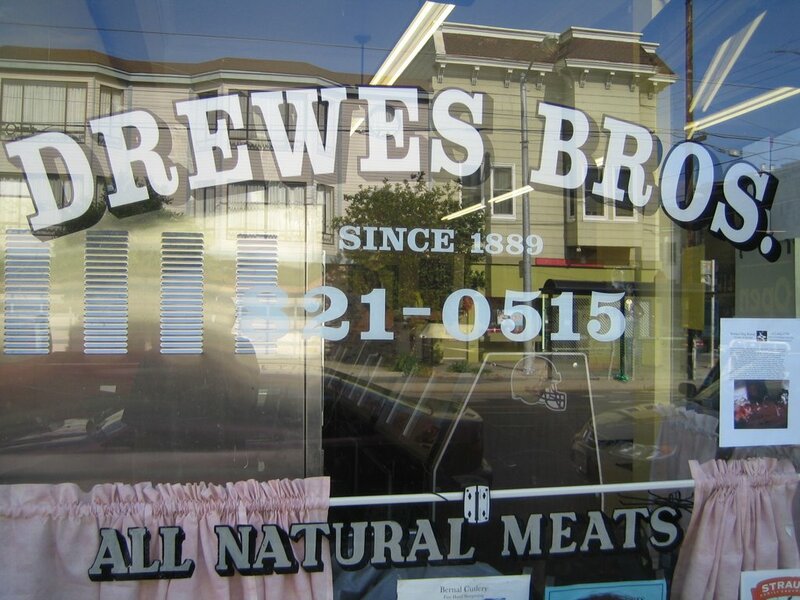 We hit up Drewes Brothers' Butcher Shop on Church Street yesterday to pick up some ingredients for the tamales. 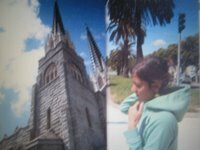 It's a nice walk down the hill from our house, and we get to pass one of our favorite streets, palm tree lined Dolores Street. 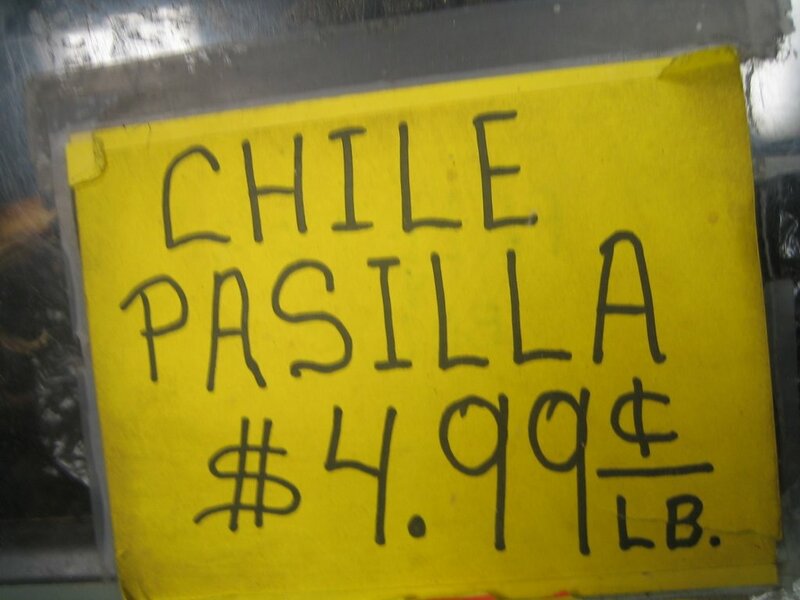 We also pass a few Central American shops on Mission Street, so we can stop in for any specialty provisions. 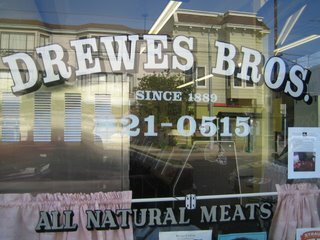 Drewes has been on Church Street for over a century and it has that Sam the butcher, old school feel to it and they sell organic free range meat. 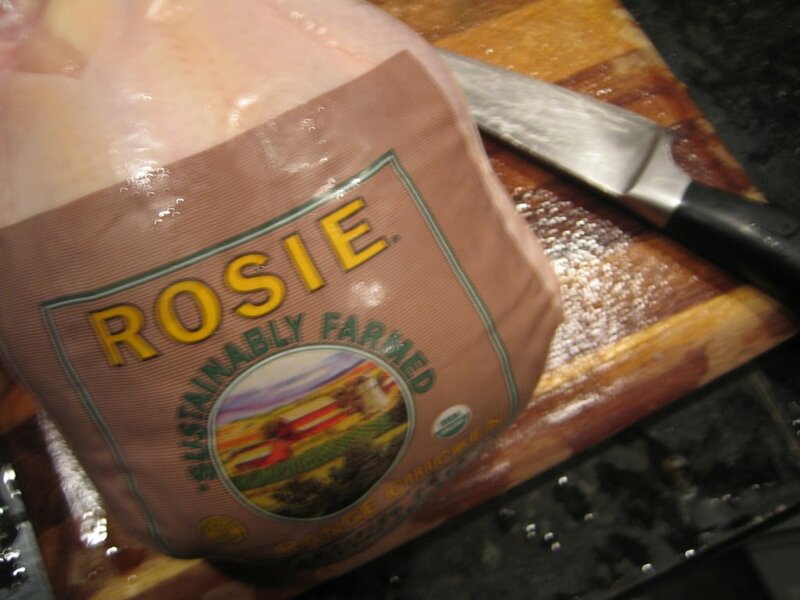 I pick up a 4 pound Organic Rosie Chicken from Petaluma Poultry. 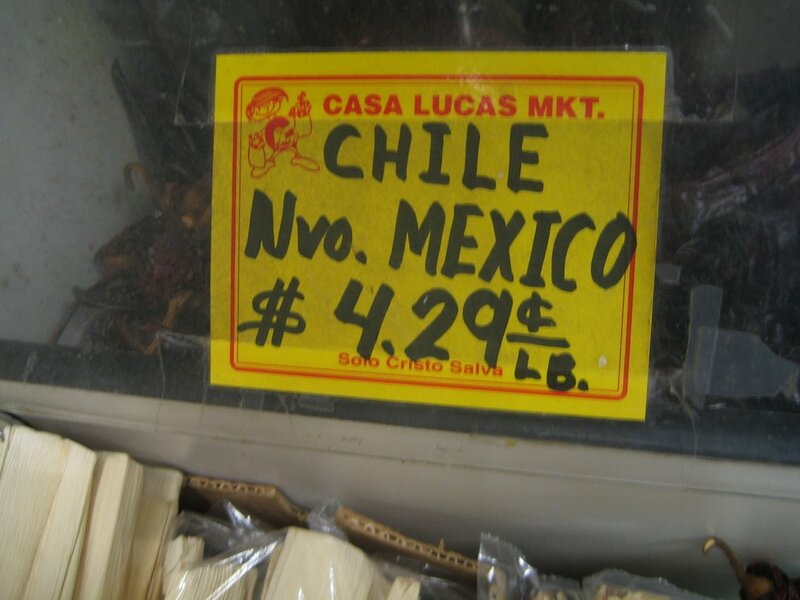 I have also decided to make some lamb tamales, so I pick up some lamb neck and shoulder cuts. I have never made lamd tamales before and it sounded like a great idea. Spicy and fragrant lamb with red chile masa wrapped in a banana leaf was the plan. 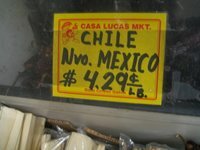 it is important to buy meat with the bones for tamales. 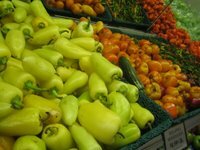 A nice stock can be made using the bones and a mirepoix, which can be used as a base for the chile "gravy" used to stew or braise the meats. 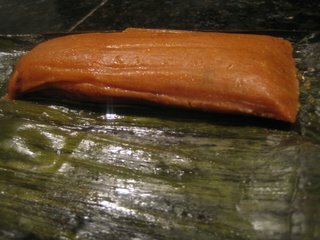 The stock can also be used to make the masa dough. For the lamb tamales, I begin by searing the lamb. Then I braise the lamb in the red chile sauce. After two hours in a very low oven I allow the lamb to cool in its braising liquid. The orange fat will rise to the top. I skim the fat and save it for the masa dough. For the masa dough I mix the fat with manteca then I add the maseca, a few pinches of salt and some chicken stock mixed with lamb braising liquid. 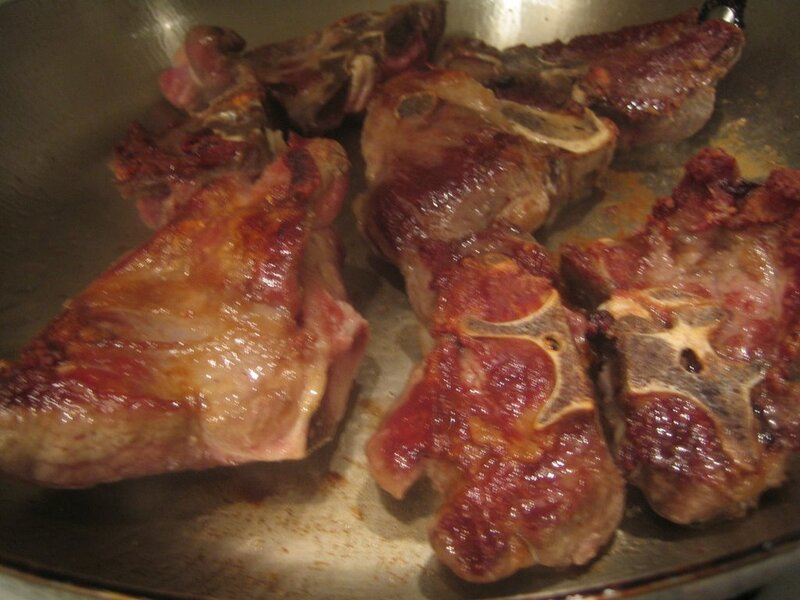 I save some of the lamb braising liquid for the lamb meat and I pull the lamb from the bones. After a nice searing and a slow braise, the lamb meat should fall right off the bones in nice shreds which then goes back into the reserved braising liuid. I cut rectangles of banana leaves and rinse them off in warm water. This not only cleans them but it makes it a little easier to fold and it lets off a nice banana leaf aroma to make for a more pleasurable tamal wrapping experience. The savory olfactory goodness that permeates the kitchen adds to the mood and will encourage more assistants to help out when it comes time to fold the tamales. Of course, tropical music helps pump juicy life into the kitchen as well and allows you to move your feet while you work with your hands. We played the new Panama compilation record that features cumbia, funk, descargas, latin jazz, salsa, and all sorts of tunes from 1965-1975. With Panama's rich and diverse culture and the great selection of songs in Spanish, English, and Patois, this record was perfect for our tamal session. Can't wait to cut into this lamb tamal. 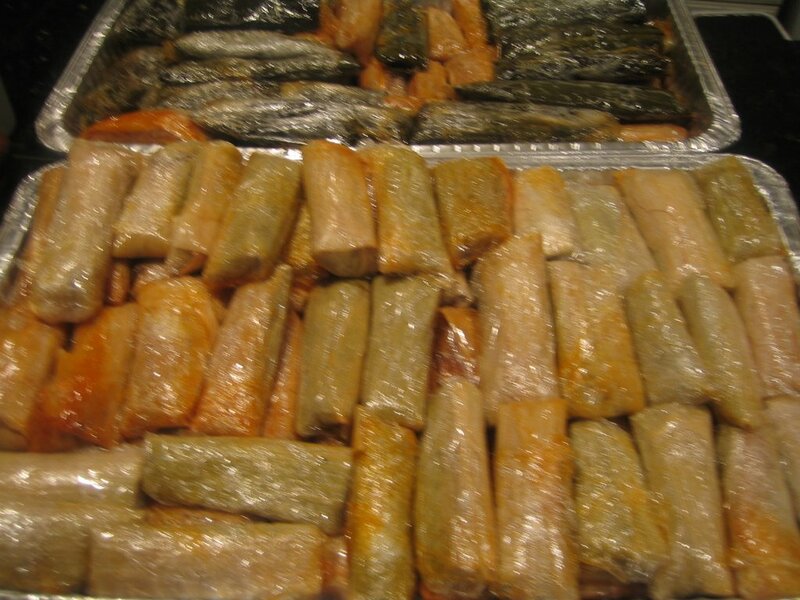 For our vegetarian friends, we made green chile tamales with queso fresco. We fill a raosting pan with tomatillos, poblano chiles, jalapeños, garlic, serrano chiles, onions, water and olive oil. We roast everything at 400 degrees. When roasted we puree all the ingredients together to make a luscious tomatillo chile sauce. 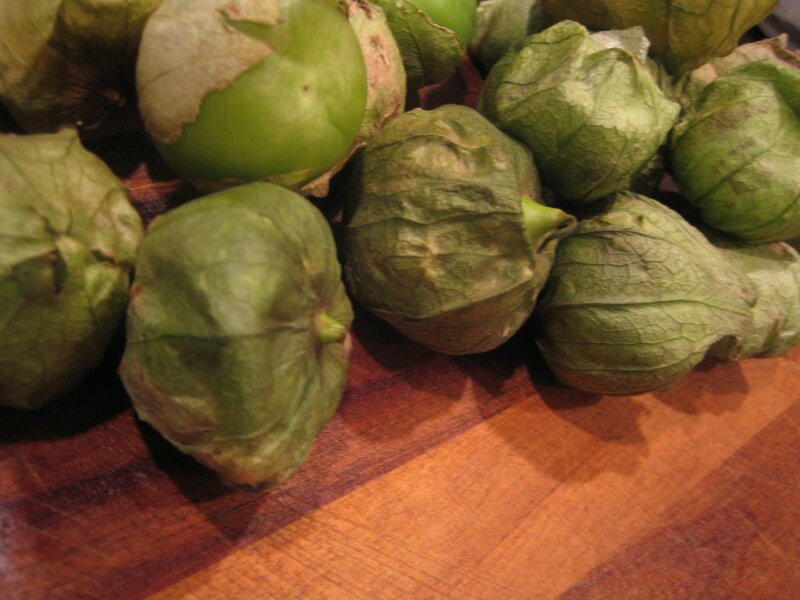 We use this sauce to make our tamal masa. The fat we use is olive oil and butter instead of manteca to keep it vegetarian. We use dried corn husks that we reconstitute in hot water for the vegetarian and for the chicken tamales. 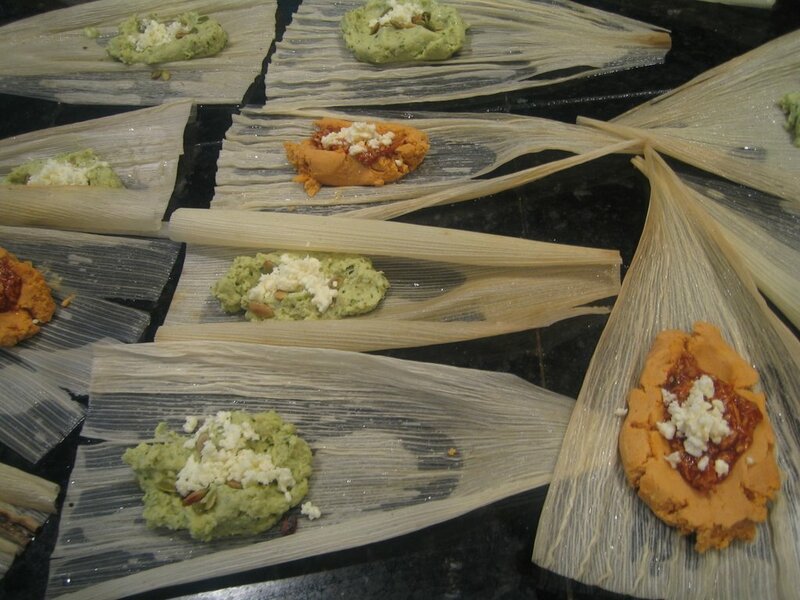 The green vegi tamales get queso fresco and pepitas. Pepitas are usually ground up with the chiles for the sauce, but I like the texture of whole seeds, so I have deconstructed the pipián sauce. I did the same with the red chile chicken, deconstructing the sauce by anning whole sesame seeds instead of grinding hte seeds. Hot Tamale Masa mix coming soon featuring Robert Johnson's "Hot Tamale", Alegre Allstar's version of Dizzy's "Manteca", and descargas, cumbias, and calypsos Panameños.